TET 36" Midseason Dormant. 6" bloom. 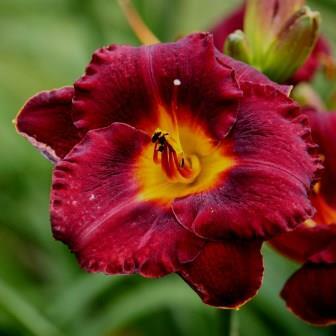 This daylily is the first introduction of one of my daylilies that are pushing towards the color black, the flower is a black cherry red with a black eye above an intense orange throat.